For over 30 years, you can sell your money for other currencies or you can buy the currency you prefer at Pott Change. All currency transactions are free of charge or commission!! 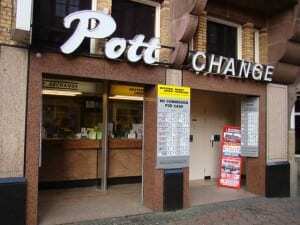 Pott Change is located in the city centre of Amsterdam. 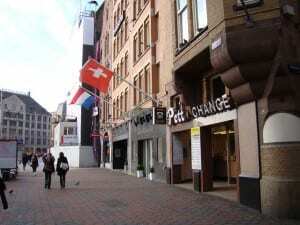 Our office is located on Damrak 95, close to Damsquare and opposite to the Bijenkorf. We are opened 7 days a week until 8.15 PM. More information about our services and exchange rates is found on this website. It is also possible to call or e-mail us on +31 (0) 20-6263658 or info@pottchange.com. We are glad to help! You can save up to hundreds of Dollars with our sharp exchange rates.